On your mark, get set, REGISTER! Great shows at ARIEL to close out the year! Back to school means back to the stage with ARIEL! The end of 2016 is on the horizon, but there are plenty of characters to play and songs to sing with The Berenstain Bears On Stage (registration closed), Little Red Riding Hood (registration open) and A Year with Frog and Toad (registration open). And for the home schoolers, give theatre arts a try with ARIEL’s day-time class, The Play’s the Thing. Whatever your child’s age or level of ability, ARIEL programs will teach Accountability, Respect, Integrity, Excellence and Leadership, all while bringing colorful stories to life. Whether you are new to ARIEL or your picture is on the wall in the lobby, the stage is waiting for you! Register today! Hey! Tom Sawyer! It’s closing weekend! Join ARIEL Theatrical for the closing weekend of The Adventures of Tom Sawyer. If you’ve never experienced a show in the Karen Wilson Children’s Theatre, now is the time! Come and see the mischievous duo, Tom and Huck, along with Tom’s best girl, Becky Thatcher, learn that life is full of adventure, whether you are looking for it or not. The community cast will leave you singing and cheering for more. Summertime on the Mississippi awaits! 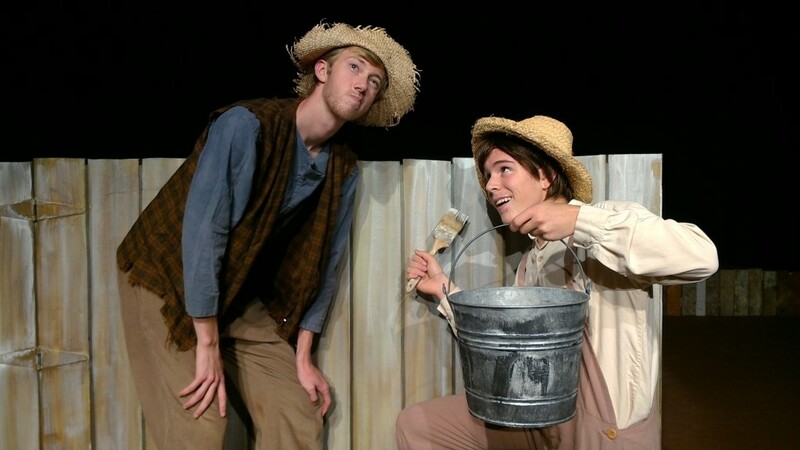 Weekend two of The Adventures of Tom Sawyer…catch Tom and Huck before they float down the Mississippi! You can’t DVR the latest ARIEL production, The Adventures of Tom Sawyer, so record your favorite Olympic events and bring your family and friends to cheer on the community cast at the beautiful Karen Wilson Children’s Theatre. Weekend one is history, but weekend two beckons, with a 7 pm show on Friday August 12, and 2 pm and 7 pm shows on Saturday August 13. There is no extra fee for online ticket purchases, so get your tickets today! Watch some of America’s most beloved characters come to life on stage. After the show, you will be singing, “Ain’t life good, Ain’t life fine!” Yes indeed, it sure is, at ARIEL Theatrical.